The Manufacturers Association of Nigeria on Thursday said the proposed VAT rate increment was unfriendly to the manufacturing sector. 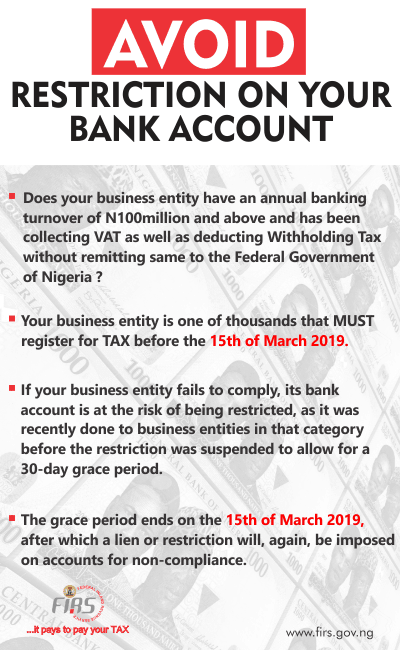 The Director-General of the association, Segun Ajayi-Kadir, made the remarks in Lagos, in spite of the rebuttal from the Federal Inland Revenue Service on the issue. He said: “This can send the wrong signals that the government is insensitive to the plights of the low- and middle-income earners, who are clearly in the majority. He said: “MAN as a strategic stakeholder in the nation’s development agenda, appreciates the need for government to generate more revenue to fund its developmental initiatives amidst declining revenue from oil. He said: “There is no doubt that VAT is an important revenue source to the government for running the affairs of the country. He said: “An ideal VAT policy for Nigeria should take into account, the current profiles of Nigeria’s Per Capita Income, National Minimum Wage and Global Competitiveness.